joepo-86 has no other items for sale. 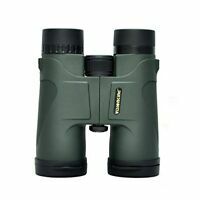 Optical Coating: Fully multi-coated FMC green film Lens Coating:: 52mm/2.05"
Type: Binoculars Eyepiece Diameter:: 22mm/0.87"
Diameter of The Exit Pupil:: 3mm/0.12"
Max. Magnification: 40x Distance of The Eye Relief: 14mm/0.55"